But as much as I love talking about cute little fuzzy creatures, this post isn’t really so much about kittens and puppies. It is about – you guessed it – because you are so smart, my favorite things. And to be more specific, my favorite jewelry making tools. You may have read this post of me gushing about a handy little doohickey that enabled me to expand my designs. And, since I had a hard time trying to figure out what I really, really needed in the very beginning, I thought it might be a good idea to feature my favorite, go-to tools that I use all the time. I began making little jewelry creations from a cheap kit that I bought at a craft store on a whim. But as much as I liked stringing beads, I quickly became bored and wanted to up my game a little. After I took a wire wrapping class at the local Art Center, I knew I had found my medium. So I began exploring all things wire and metal jewelry, read pretty much every book our library had to offer and then set out to create my own high quality jewelry. Ever the cheap skate I didn’t really want to spend a fortune on tools and equipment that I didn’t really need. So after much research, trial and error, an expensive miss, that is beginning to redeem itself a little bit (a story for another time), here are the tools I use daily and could not live create without anymore. As a dedicated wire worker/chain mailler the sun rises and sets on pliers and cutters for me. A good set of chain nose pliers are an absolute must. I have two pair and a spare, because I simply cannot go without. The ones I use the most (the red ones you see here) are relatively inexpensive – Made in Germany- precise and comfortable, the second pair hails from a craft store. Michael’s has a fairly decent selection of beginner jewelry making tools. And if you use one of their 40-50% off coupons from the ad, they wind up being a steal. That is how I aquired many of my tools. 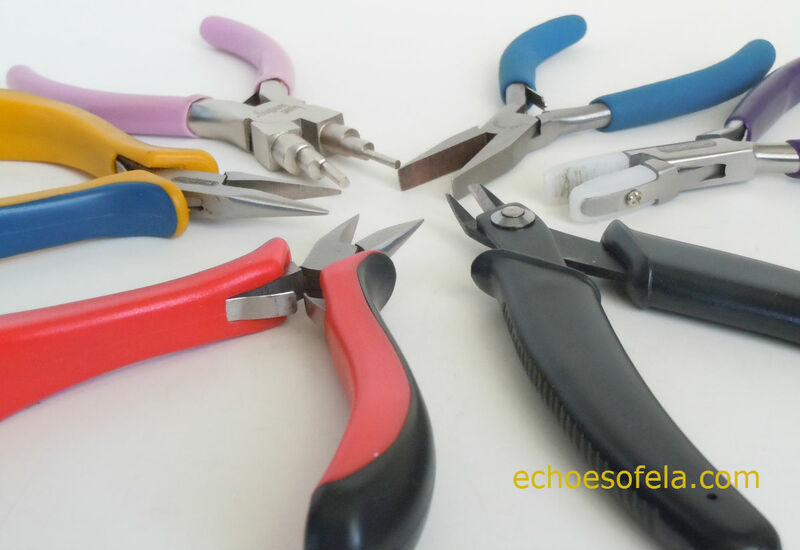 Even though I own a number of different cutters, the black ones pictured here are the ones I love to use the most. Next up is my jewelers saw. I foolishly (hindsight is perfect) resisted getting one of these and actually cut jump rings by hand(!). The saddest part is that by doing that I wasted a tremendous amount of time and energy while still not ending up with nice, flush-cut rings. A jewelers saw is a handy, low tech tool that makes it simple to cut your desired number of rings whenever you need them. 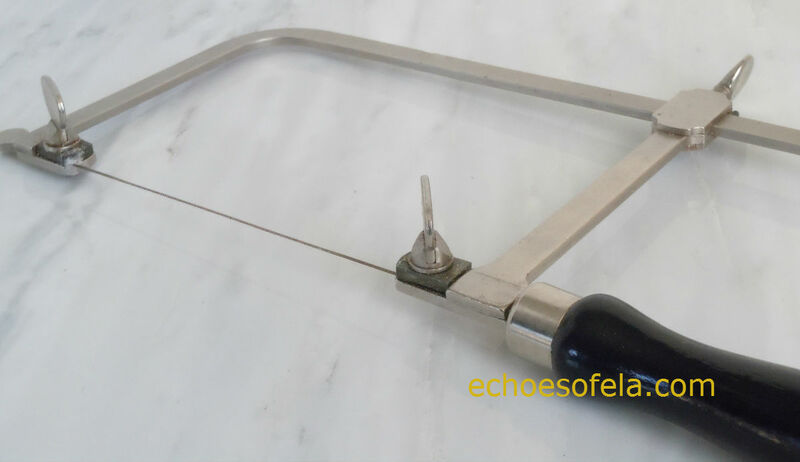 As an added bonus it is cheap, as are the saw blades. Both are a major plus because I have chosen to make my own jump rings and I need so many of them and in so many different sizes, that I could not possibly keep up on ordering them. Together with my jump ring maker here I can cut as many rings as I need from a variety of different metals and wire gauges. 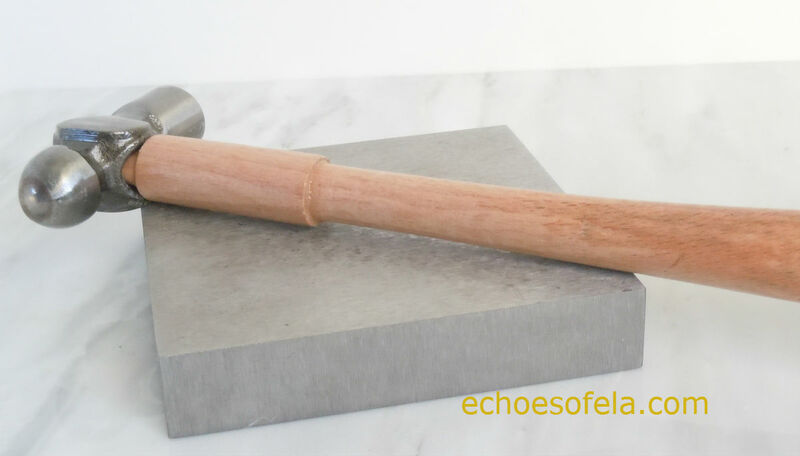 Up next are my ball peen hammer and stainless steel bench block. I have other hammers and a small anvil, but find myself using these two the most, especially since I can just keep them right beside me on the work table for the many quick little taps. The final set of must-have-tools-for-the-beginner I want to talk about today is files. Not the hanging paperwork kind, although they come in mighty handy with the business end. You set out to create something beautiful to wear only to find out it scratches and snags your favorite cashmere sweater! Not when you use these before you turn your designs loose! Yes, a simple set of metal files will insure comfortable wear. 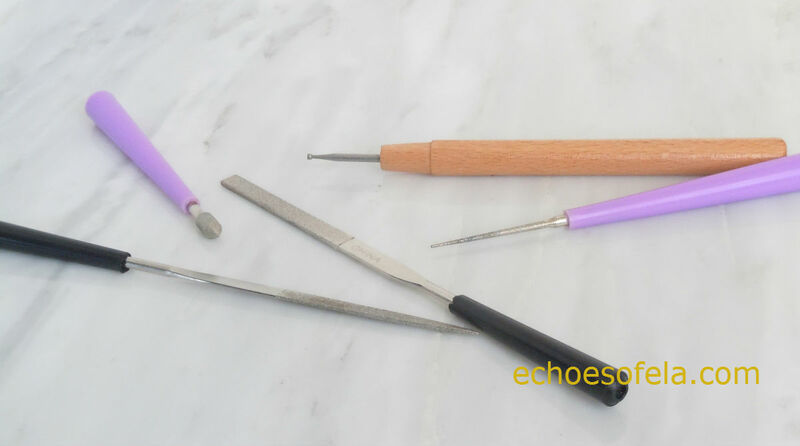 And the bead reamers pictured here allow you to increase the hole size of a apparently too small bead – there appears to be one on every strand – another little simple gadget to make your life as a jewelry creator simpler. If you made it through this entire post and still have a hankering for whiskers on kittens you can swing by my friend Julia’s blog who writes a weekly Living Pretty with Pets feature. 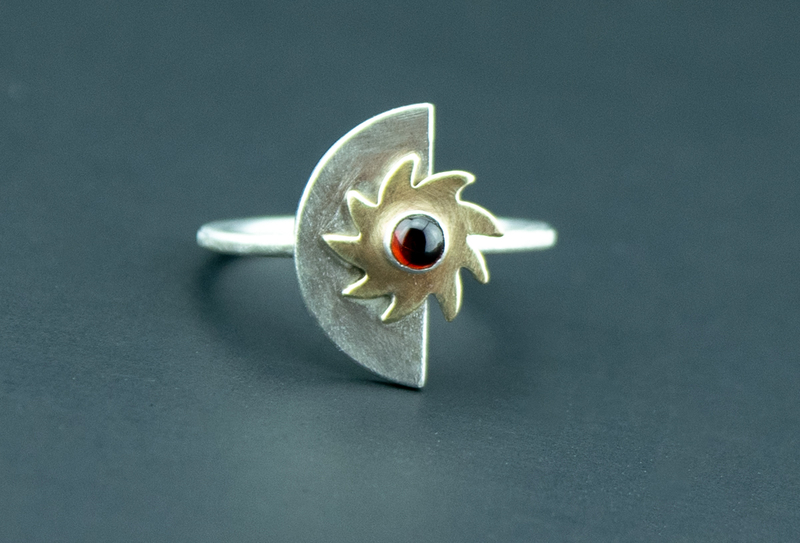 And check out her gorgeous designs while you’re there! Just tell her Karin sent you! The opinions in this post are my own. I was not compensated for any of the statements I made in this post! I don’t know much about jewelry making but thank you so much for the shout out. No, but you are a very creative person! I love all the glamorous touches throughout your house.